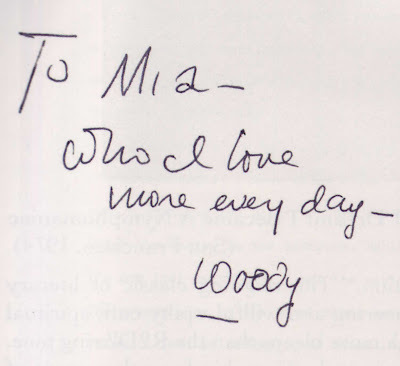 If you collect the works of Woody Allen and wish to possess Four Films of Woody Allen (New York: Random House, 1982) a near fine, super-association/presentation copy inscribed to his now ex-wife, Mia Farrow, must surely be the sweetest, most desirable to own. Its ironic inscription is priceless. But rare book dealers are not altruists. Originally sold by Julien's Auctions in Beverly Hills, June 27, 2010, this copy is now being offered for $7,500 by Biblioctopus. Only one other signed copy is currently on the market. It, too, is in near fine condition. It is being offered by James Pepper Rare Books for $1,500. Premium for deeply ironic inscription: $6,000. And worth every penny. 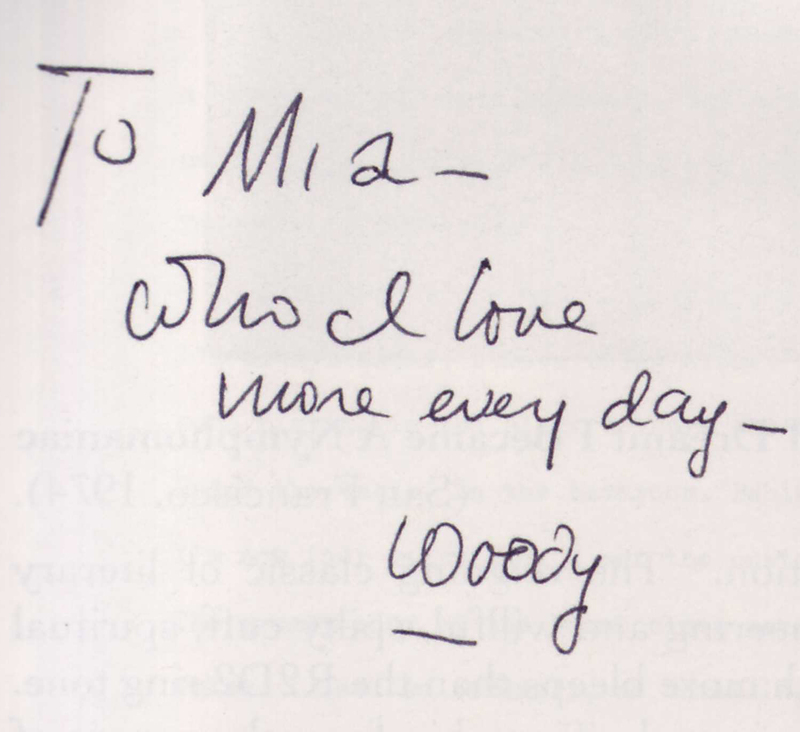 Events subsequent to the inscription provide a subtext to it that's a book in itself and could not be more rich, ripe, and, ultimately, poignant. 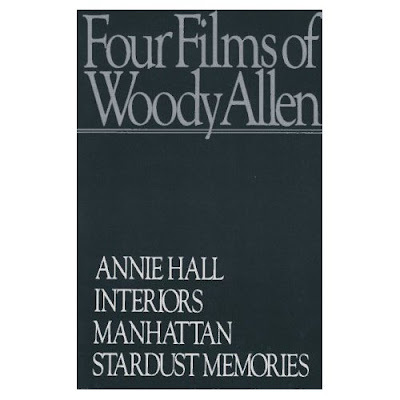 In the absence of an Allen first edition annotated by him this has to be the collectible Woody Allen book. 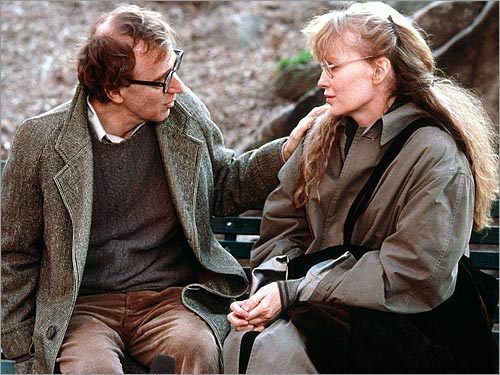 Image from Crimes and Misdemeanors (1989). It is not necessary to rehash the Allen-Farrow scandal here. Suffice it to say, at some point post-mishegas, Ms. Farrow bid goodbye, good riddance, and vamoose to her collection of Woody Allen books. They must have seemed like scalpels on the shelf, this particular book with its inscription a stiletto twisting into her gut as the coup de grâce. Images courtesy of Biblioctopus, with our thanks.